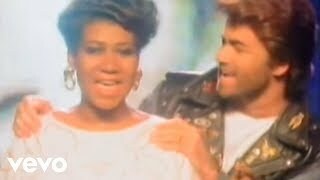 Oct 03, 2009 · Music video by Aretha Franklin & George Michael performing I Knew You Were Waiting (For Me). (C) 1986 Arista Records, Inc.
"I Knew You Were Waiting For Me" was written by Simon Climie, Dennis Morgan. Watch the video or listen to George Michael – I Knew You Were Waiting (For Me) for free. I Knew You Were Waiting (For Me) appears on the album Ladies & Gentleman. Listen to music by Aretha Franklin on Pandora. Discover new music you'll love, listen to free personalized radio.